From the pie chart it is easy to see that housing costs eat up over one third of your after tax income. More than food and transportation combined! 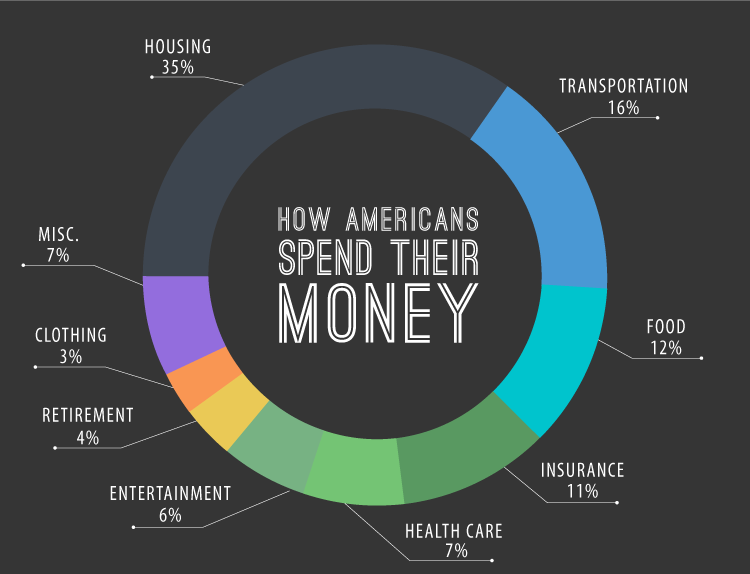 With such a large chunk of money at stake, doesn't it make sense to spend that money wisely? The Renter's Bible will give you the information you need to get the best deal and the best service on an apartment. I've seen scores of people lose hundreds and sometimes thousands of dollars because of what they did not know about renting apartments. This doesn't have to be you. 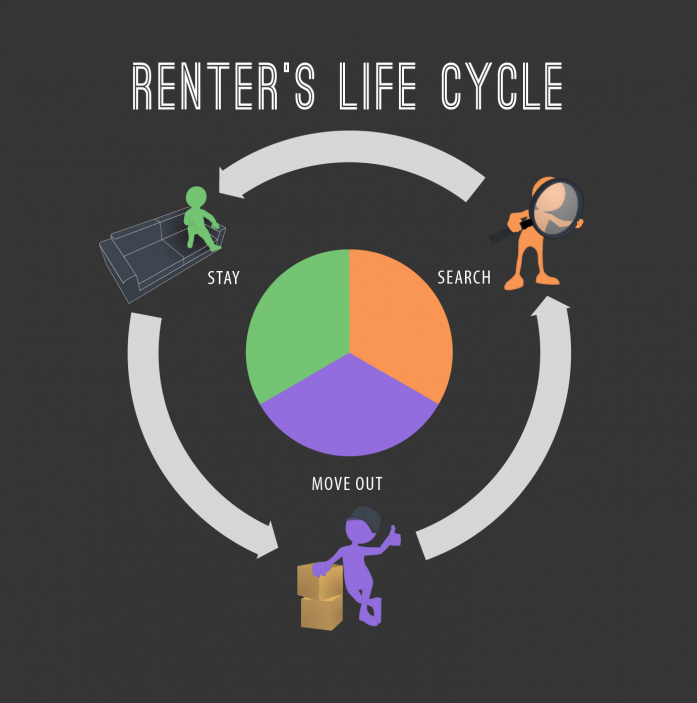 The Renter's Bible is a unique guide to better apartment living from someone who has actually worked in the industry. 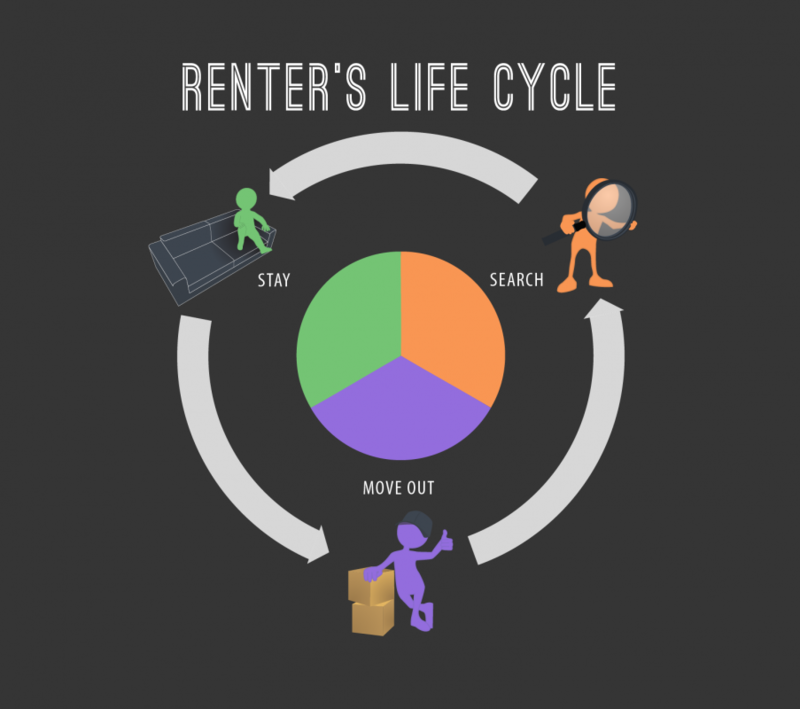 The infographic on the left shows the apartment “life cycle”. There is much more to the selection process than finding a place that “looks nice” or has the lowest rent. In the book I take you through all three phases of the life cycle. In fact, the book is presented in that order. This allows you to find the information you need based on where you are at in the process of renting, and serves as a valuable reference tool year after year. It includes loads of information designed to save you time, money, and hassle. Every few months or so I hear in the news a reference to declining or stagnant wages. This chart shows the decline in wages against the rise in housing costs. 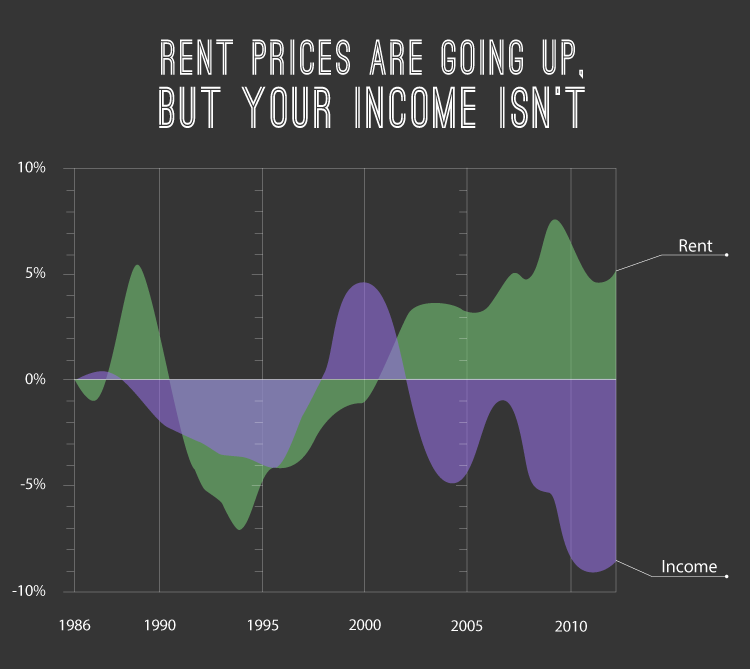 In order to combat this reality, one must make more money(easier said than done), or lower rental expenses. One of the key components of managing your financial health is to control costs for expenses you can't do without. The Renter's Bible helps you do this by guiding you to choose an apartment which balances cost and features. 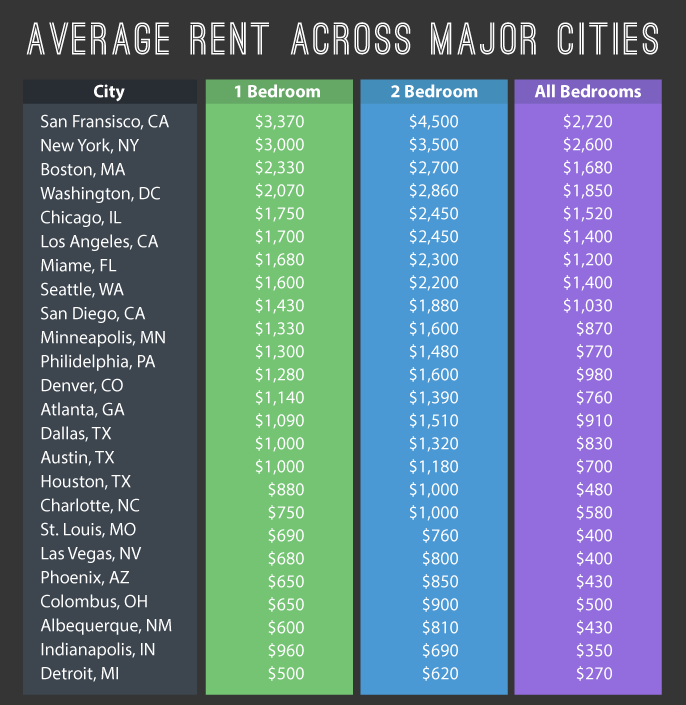 This infographic shows the median apartment rates for some larger cities. You probably already have an idea of what rental rates are where you live, but if you don't this will give you a range of what to expect when you are searching and gathering information. Rental rates can vary quite a bit based on all the different options. How do you know if you are paying a fair price for rent? The Renter's Bible will show you what information to gather and help you evaluate the possible choices.